Yeti coolers are great but are just too expensive. But if you want a cooler that's like a Yeti but cheaper, you're in the right place. We have 5 of the best coolers like yet but cheaper! Before we get on that, we also have some questions that you might want to ask yourself before you buy a cooler. These questions will guide you as you go about the choosing process. This way, you won’t have regrets in the end. How’s the insulation performance of the cooler? How easy is it to transport? A Yeti cooler is a high-end cooler that has one of the best insulation performance. They’re ideal for camping, hunting, fishing, and other outdoor activities. However, the biggest downside is that they are ridiculously expensive. There are still similar coolers that perform just as well but at a much lower price. One of the defining qualities of a Yeti cooler is the roto-molding construction. If you want something that’s like a Yeti, look for the same kind of structure. It performs so much better than traditional coolers. They’re also more robust and durable, which is something you want for camping, hunting, fishing, and other recreational use. High-end coolers like Yeti have so much better insulation performance than traditional coolers. A Yeti cooler can hold ice for up to 10 days, depending on the size. The insulation depends on the material, the design, and the construction of the cooler. When choosing a cooler, look out for thick insulation in the walls and lid. Usually, the insulating material is a polyurethane foam injected in the roto-molded construction. You should also look out for how well the cooler closes. The design of the lid and the latch is another crucial factor because you want it to seal well. You don't want the cold to go out or warm air to enter. Manufacturers usually give out insulation performance ratings, but you ought to read user reviews too. Also, some videos compare the different results of an ice retention challenge. Be sure to check those out to give you an idea on how well a cooler retains ice over time. The size is one of the most crucial things you want to consider. Not only does it dictate how much you can bring, but how much you put in it affects the insulation performance of the cooler. 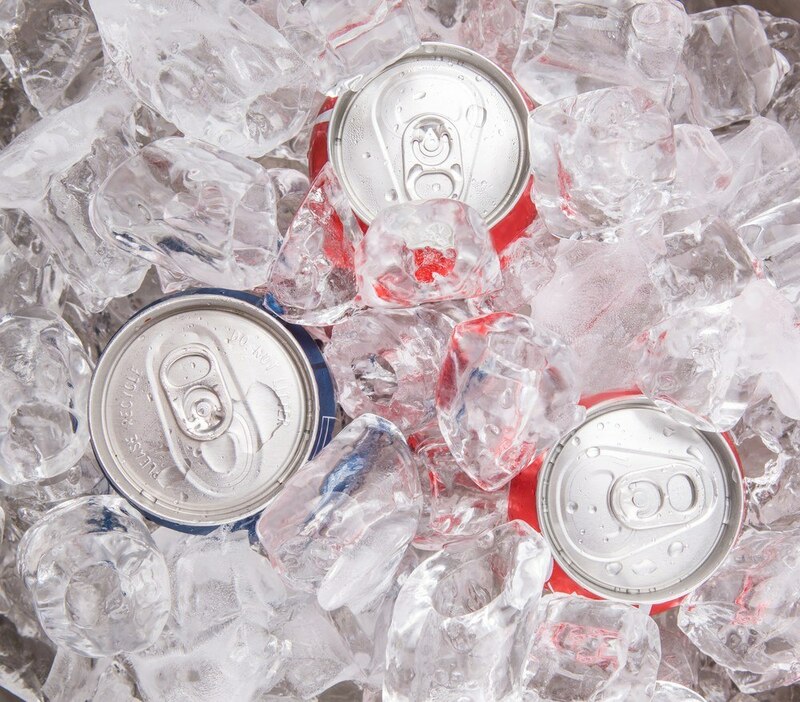 Larger coolers usually retain ice longer than smaller ones. However, keep in mind that a cooler that is half empty will not hold ice as long as a cooler that is well packed. So, mind the size and how much you pack in it. To help you determine the right size, consider the duration of your trip and the number of people you are packing for. The sizes are usually indicated in quarts. You might also want to consider the height of the cooler. Do you want to be able to store bottles vertically with it? You can also find coolers that have recessed lids, so you fit or load things higher. Finally, keep in mind that the size of a cooler affects its portability and storage. The larger it is, the more difficult it is to carry or transport. It’ll also be harder to keep when not in use. As I mentioned earlier, the size of a cooler affects its portability. Obviously, the larger it is, the more difficult it is to transport. Make sure you check the check the weight of the cooler about the size. The lighter it is, the easier to carry. Larger ones need two-man carry handles that won’t snap off. You should also make sure these handles are, as much as possible, comfortable to prevent blisters or discomfort. There are also coolers that have wheels, so you don’t have to lift them. When looking into wheeled coolers, make sure they are well attached and rugged enough for the terrain you’re dragging it into. And of course, make sure the handles are durable and keep well as well. The rotomolded construction is what separates high-end coolers from traditional ones. They are incomparably more indestructible and durable, able to withstand the rigors of the outdoors. But what you might want to make sure, especially if you’re camping in bear country, is that it is bear resistant. 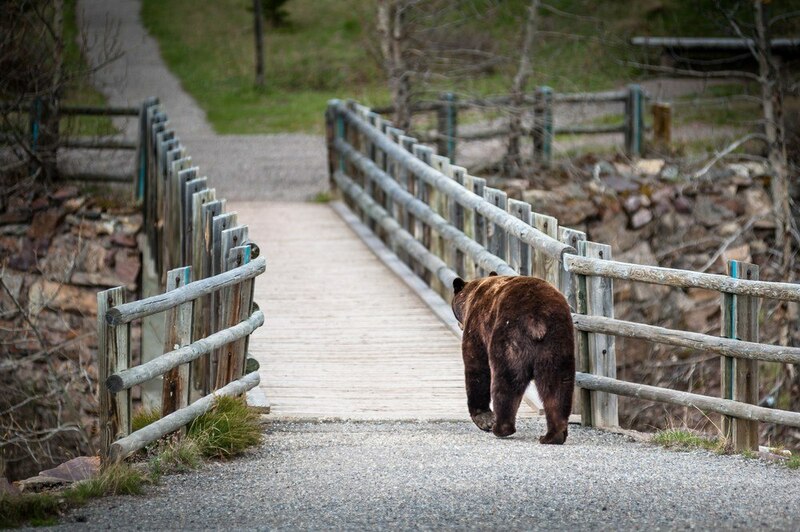 Some coolers may claim to be bear-resistant, but make sure they are certified. Some coolers have features like rod holsters, bottle openers, dividers, and more. They can be something you can add or something that's included. Either way, you might want to consider if they are something that can be useful to you. Check The Latest Price on Amazon! The first one on the list is a Pelican Elite Cooler. The rotomolded construction and design make it an incredibly durable cooler even with just the looks of it. It comes with 2 inches of polyurethane foam insulation and a gasket that's comparable to a freezer gasket for ice retention up to 10 days. The price difference is not steep, but it's still cheaper than a Yeti. With the few extra bucks you'll save with the Pelican, you can get additional features (like a basket) for your cooler. Another impressive thing about the Pelican Elite are the molded handles which are probably the most comfortable ones on the list. It also has two 3-inch locking latches and a lockable hasp for extra security. Here is video of the Pelican Elite vs. a Grizzly bear. You’ll be impressed with how durable and bear-resistant it is. In fact, the Pelican Company is so confident with their product that they offer a Lifetime Guarantee. Excellent insulation, giving up to 10 days of ice retention. Of course, this depends on a few factors. Still, it keeps your beer/food cold for more than enough days. The handles are comfortable and don’t strain the hands. It’s also pretty easy to drain. It’s cheaper than a Yeti. You can choose from many different colors for a personal touch. The bear proof design and construction is incredible. While it is cheaper than a Yeti, it’s still quite expensive. The price difference is little. It has a large and bulky exterior. The Engel Deep Blue is another cheaper alternative to a Yeti Cooler. It has a rotomolded hard-shell construction, making it a robust and durable cooler. It even meets the IGBC (Interagency Grizzly Bear Committee) standards, making it a certified bear-resistant cooler. The insulation performance of the Engel Deep Blue is not bad as well. It has silicone gaskets that offer airtight security to keep the cold air in and the warm air out. It also has 2 inches of polyurethane insulation injected all around the cooler. The company claims ten days of ice retention, but different tests show only about six days. Again, it depends on factors like the fullness of the cooler, how often you open it, and the outside temperatures. Still, the Engel Deep Blue proves to be a contender in the high-end cooler category. It’s about a hundred dollars cheaper than a Yeti Cooler, which is quite a big difference. The size and price ratio is pretty reasonable. All Engel Deep Blue Coolers bought after January 1, 2017, have a 10-year limited warranty. Cheaper by a lot compared to the Yeti Cooler. It’s also one of the most inexpensive ones on the list. Excellent insulation performance together with airtight gaskets. The design and build of the lid and body are strong and durable. The hinges, latches, and handles are also pretty tough. It has a built-in bottle opener. The handles are not very comfortable, making it a little difficult to carry. The capacity is smaller than what is advertised. K2 Coolers was founded in 2011, which makes it a pretty new cooler company. However, even with the little years as a company, they've already made a big impression to many outdoor enthusiasts. Many hunters, campers, and fishers use their coolers for its perfect insulation performance and robust rotomolded construction. The K2 Cooler features K2’s Snowblown insulation and ICEvault gasket that are sure to retain coldness for more than enough days of your trip. It also has lid latches (Positrac) that create a tight seal for every closure. The ice retention capability is very similar to a Yeti cooler and Pelican. Another great thing about this cooler are the handles. Both the integrated handles and the rope handles are quite comfortable. It also has non-marking rubber feet to keep the cooler in place. However, you can also add the Smoothglide covers on them so you can slide them easily when you need to. Insulation performance is top notch. About a hundred dollars are cheaper than a Yeti. Tough rotomolded design for incredible durability. You can choose from many colors. Opening the lid is not as straightforward because of the narrow holds. Draining water out requires more effort than others. Lids may need a little pushing to shut properly. The Grizzly Cooler is another one of those coolers that are often compared to Yeti. Regarding looks and build, it is quite similar. However, the insulation performance of the Grizzly falls shorts by 1-2 days. Still, it makes for a pretty great cooler. The rotomolded construction, the gasket, the latches, and the handles are all pretty good. It's relatively easy to clean and drain, which is a big plus on their part. Another great thing about Grizzly Coolers is that it comes with a lifetime warranty. It also holds a bear-proof certification. Still quite expensive and its insulation performance is not exactly better than the others. The Yukon Cold Locker is another cooler that’s cheaper than a Yeti that’s still a pretty good option. It's constructed with durable rotomolded polyethylene, with 3 inches of polyurethane insulation, which is one inch more than the others. However, despite the thickness, it doesn't compare quite well with the Yeti and the coolers above regarding insulation. It can keep a safe food temperature for about four days, which is kind of less than the others. Other than that, the Yukon Cold Locker as is certified bear-resistant by the Interagency Grizzly Bear Committee. It also has a dual stainless-steel lid locking plates for extra security. The cooler is one of the toughest ones, making up for the subpar insulation performance. You can throw it around or in front of a bear, knowing it will still be intact afterward. Very robust design - solid and durable body, lid, hinges, and latches. The integrated handles are also very durable and relatively comfortable. Insulation performance is not that great compared to the others on the list. Still a quite expensive option. It doesn’t have rope handles. The integrated handles might not be suitable for some hands. If you want to get the most of your money, you have to do your research on particular models and brands of coolers. One of the bestselling ones is Yeti. However, it’s quite expensive. There are many similar kinds of coolers that are cheaper. Whatever you decide to choose, the important things that you should consider are size, insulation performance, durability and ease of use. Why are Yeti coolers so expensive, is it worth buying? What Is The Best Cooler For The Money? K2 Cooler Review: Is it Worth Your Money? Thecampingtrips.com is a participant in the Amazon Services LLC Associates Program, an affiliate advertising program designed to provide a means for sites to earn advertising fees by advertising and linking to Amazon.com . Additionally, Thecampingtrips.com participates in various other affiliate programs, and we sometimes get a commission through purchases made through our links.